Ironwood Forest National Monument was created in 2000 by President Bill Clinton. 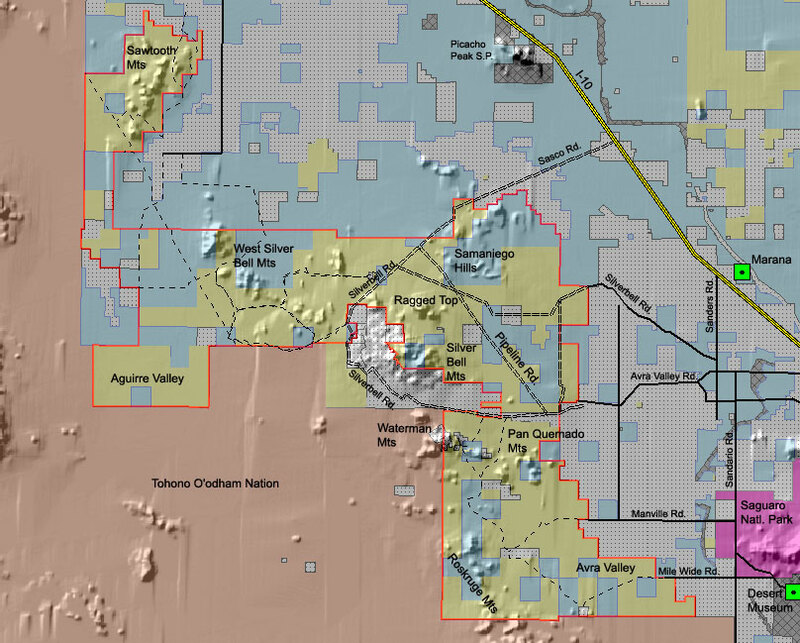 It protects 129,000 acres (almost 300 sq. mi) of Sonoran Desert habitat from just west of Saguaro National Park on the west side of Tucson almost to Casa Grande, Arizona. The Monument is administered by the Department of Interior, Bureau of Land Management (BLM). 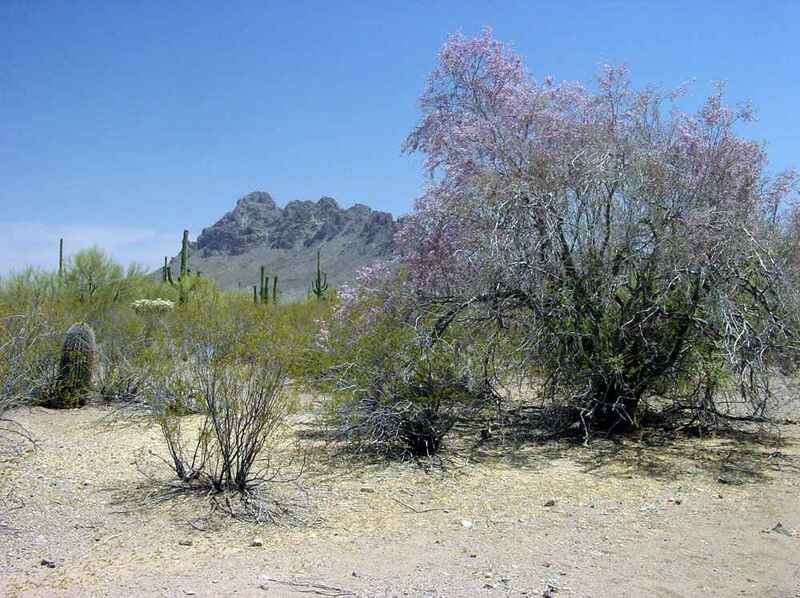 From 2001 to 2003 the Desert Museum conducted part of the biological survey. 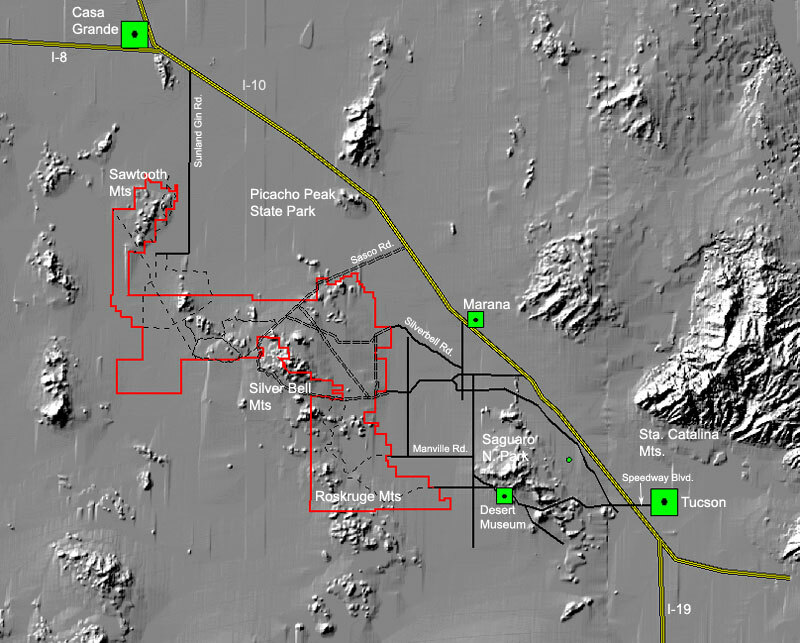 Our team compiled the flora, created a vegetation map, compiled existing geological maps and filled in missing soils data, and surveyed four wildlife species (lesser long-nosed bat, desert tortoise, chuckwalla, and desert iguana). See the menu bar at left for illustrated reports on each of these activities. 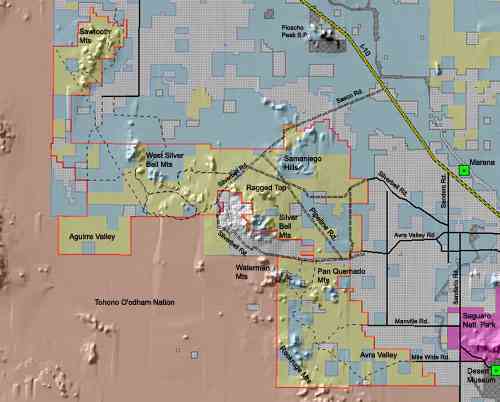 Tani Hubbard wrote the synopsis of existing literature on desert ironwoods; she also designed and printed the GIS maps. Ed Glenn of the University of Arizona Environmental Research Laboratory and his students Dr. Pamela Nagler and Marcia Moreno Baez provided GIS training. Barry McCormick designed the Access database. Volunteers Ana Lilia Reina and Mike Bauer contributed many field days recording the flora. More than 20 other volunteers contributed hundreds of hours of field assistance, especially on the tree census plots. Marc Baker field-identified the chollas and sorted out many confusing hybrids. Andrew Salywon, Wendy Hodgson, Dixie Damrel, Robert Perrill, Charlotte Christy, and Mark Fishbein contributed data from their collections in IFNM. Phil Jenkins provided locality information on IFNM plants from the University of Arizona Herbarium (ARIZ). Shannon Doan did the same for Arizona State University Herbarium (ASU) records. John and Charlotte Reeder (ARIZ) identified all of the grass collections. 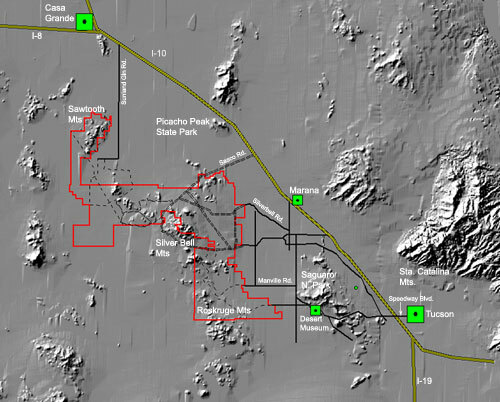 This work was contracted by the Tucson Field Office of the Bureau of Land Management. References for the entire IFNM project.